Damemon is something that was accidentally born when the waste data drifting through the Digital World randomly combined. Since "No good, no good!" is its favorite phrase, it has a bad habit of criticizing people without reading the atmosphere, regardless of the person or situation. Although it is the sort of person that is definitely the #1 "No good, no good! ", somehow it has gotten by with the help of its partner, Tyutyumon. Together with Tyutyumon, Damemon can finally be said to be a full Digimon. Tyutyumon stays on the "Tyutyu Tray" on the back of Damemon's head, and takes it along to various places to go play. When the two of them are together, every day is Priceless. Its certain-kill "Bunbun Ken" which just rotates its tonfa and barely hits its target is more useful for making the opponent flinch than inflicting damage. 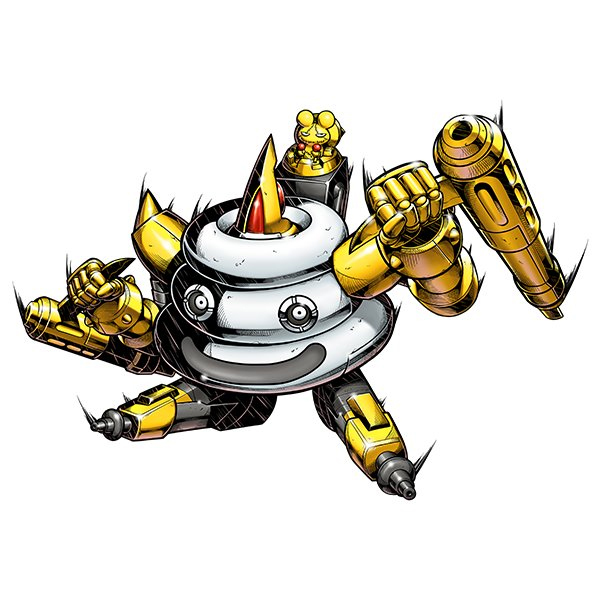 Its "Gun Vulcan", which fires, from hidden guns in its feet and tonfas, small, black, mysterious objects that spread a foul smell, doing more to make the opponent repulsive than to inflict damage, and causes them to lose their fighting spirit. It is always careful, because it is angered at Digimon living in the area if it isn't completely cleaned after it shoots. As for its "Boo~st Attack", which spreads a lot of smelly gasses as it strikes, even Damemon doesn't know where it will fly off to. The damage to the opponent when it hits, together with the smelly gas, is very large, emotionally. This profile matches its partner in the Digimon Reference Book, except for the inclusion of paragraphs. 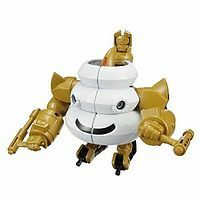 A Digimon that was accidentally born when the waste data drifting through the Digital World randomly combined. Since "No good, no good!" is its favorite phrase, it has a bad habit of criticizing people without reading the atmosphere, regardless of the person or situation. Its partner is Tyutyumon. Its "Bunbun Ken", which almost always misses, its "Gun Vulcan", which fires off bad-smelling objects, and its "Boo~st Attack", which spreads smelly gasses as it strikes, are its Signature Moves. Damemon is something that was accidentally born when the waste data drifting through the Digital World randomly combined. As for its "Boo~st Attack", which spreads a lot of smelly gasses as it strikes, even Damemon doesn't know where it will fly off to. The damage to the opponent when it hits, together with the smelly gas, is very large, emotionally. Comes from damedame 「ダメダメ」, which means "no good"; "useless". 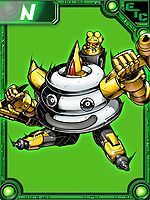 Anime/Manga Digimon Xros Wars: "Stingmon, The Hero of the Digimon Jungle"
Rotates its tonfa, barely hitting the enemy but making them flinch. Fires small, black, foul-smelling objects from hidden guns in its feet and tonfa. Spreads smelly gas as it strikes. Dejininpo Bujinhenka  Digi Ninja Arts Military Man Transformation デジ忍法 武人変化 N/A Warrior Transformation Transforms into Tuwarmon. Damemon is a member of the Bagra Army, and considered Lilithmon's pet. She is informed she has rather bad taste. Damemon is the partner Digimon of Amano Yuu. 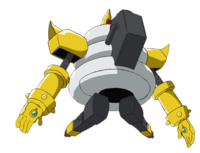 Damemon is a servant of Skull Knightmon. Damemon is an unobtainable Leader Digimon. 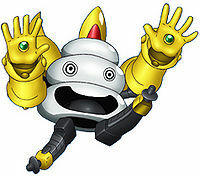 ↑ Digimon Xros Wars: "Brother, Why!? 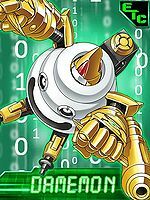 The Nightmare of Enemy General Yuu"
↑ Digimon Xros Wars: "Shoutmon, The Proof of a King!" This page was last modified on 17 April 2019, at 06:00.